Measuring the Universe, by Slovakian artist Roman Ondák, is a performative collaboration which engages and incorporates the viewers in the evolution of the installation. 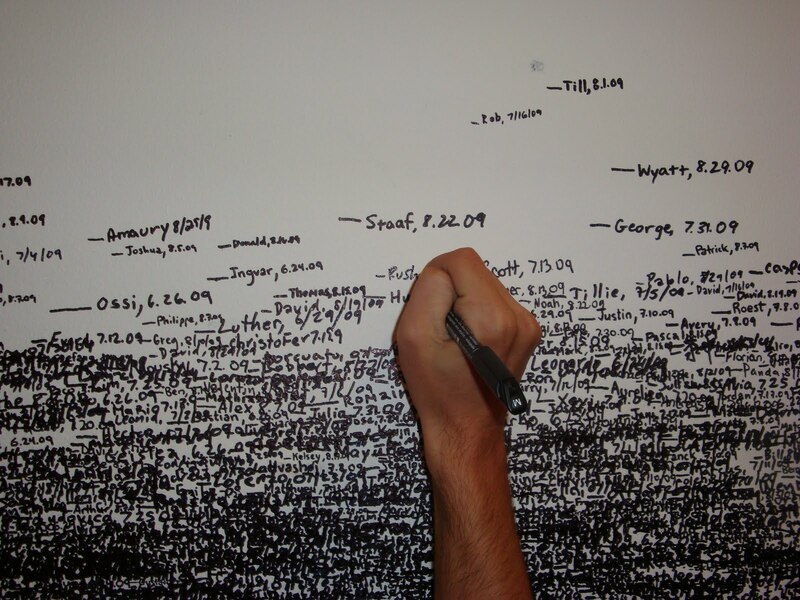 Over the course of the exhibition, museum docents mark the visitors’ heights, first names, and date of the measurement on the gallery walls. Beginning as an empty white space, over time the gallery gradually accumulates the traces of thousands of people.